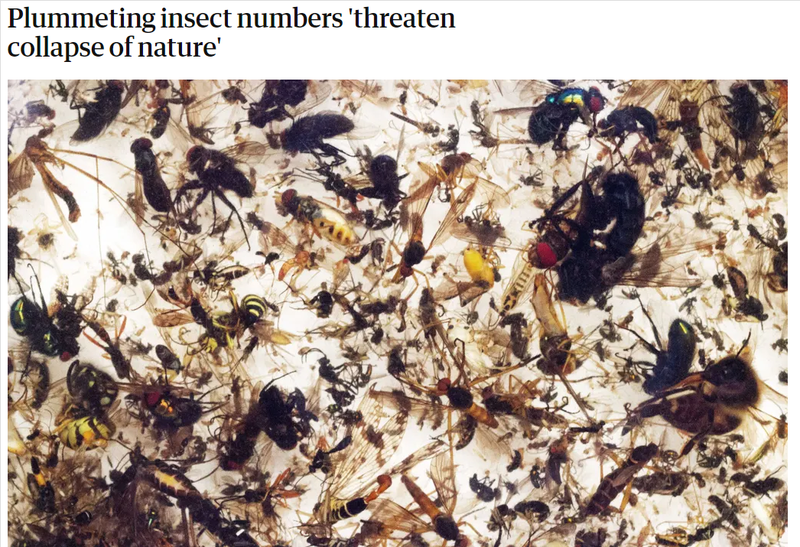 “Insectageddon” – bigger headlines, more hype, but where’s the funding? Unless you have been hibernating in a deep, dark cave or on another planet, you can hardly have missed the ‘insectageddon’ media frenzy that hit the UK (and elsewhere) on Monday (11th February). This time the stimulus was a review paper outlining the dramatic decline in insect numbers, from two Australian authors (Sánchez-Bayo & Wyckhus, 2019). Their paper, based on 73 published studies on insect decline showed that globally, 41% of insect species are in decline, which is more than twice that reported for vertebrates. They also highlighted that a third of all insect species in the countries studied are threatened with extinction. Almost identical figures were reported some five years ago (Dirzo et al., 2014), but somehow escaped the attention of the media. I’m guessing that a clever press release by either the authors’ university or from the publisher of Biological Conservation set the ball rolling and the appearance of the story in The Guardian newspaper on Monday morning got the rest of the media in on the act. 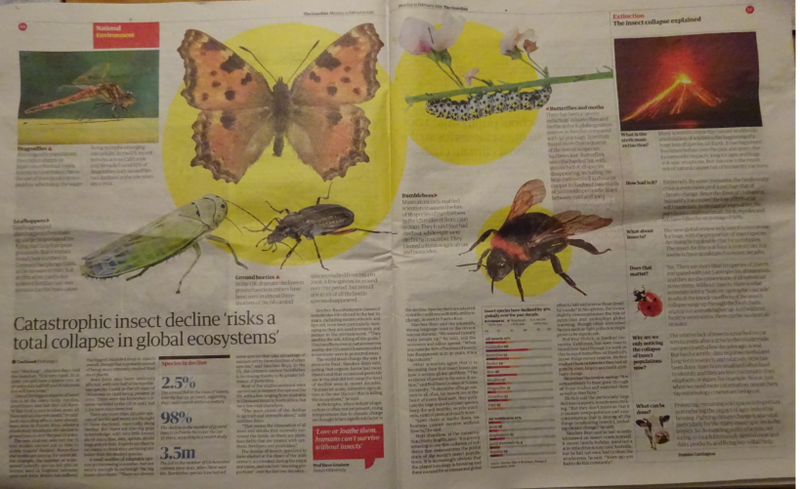 A flurry of urgent phone calls and emails from newspapers, radio stations and TV companies resulted as the various news outlets tried to track down and convince entomologists to put their heads above the parapet and comment on the story and its implications for mankind. I was hunted down mid-morning by the BBC, and despite not being in London and recovering from a bad cold, was persuaded to appear live via a Skype call. A most disconcerting experience as although I was visible to the audience and interviewer, I was facing a blank screen, so no visual cues to respond to. According to those who saw it, it was not a disaster 🙂 Entomologists from all over the country, including at least three of my former students, were lured into TV and radio studios and put through their entomological paces. It is the ephemeral nature of the media buzz that I want to discuss first. Looking at the day’s events you would be forgiven that the idea of an ecological Armageddon brought about by the demise of the world’s insects was something totally new. If only that were so. The three years before the current outbreak of media hype have all seen similar stories provoking similar reactions, a brief flurry of media attention and expressions of concern from some members of the public and conservation bodies and then a deafening silence. Most worrying of all, there has been no apparent reaction from the funding bodies or the government, in marked contrast to the furore caused, by what was, on a global scale, a relatively minor event, Ash Die Back. Like now, I responded to each outcry by writing a blog post, so one in 2016, one in 2017 and another last year. So, will things be different this time, will we see governments around the world, after all this is a global problem, setting up urgent expert task forces and siphoning research funding into entomology? 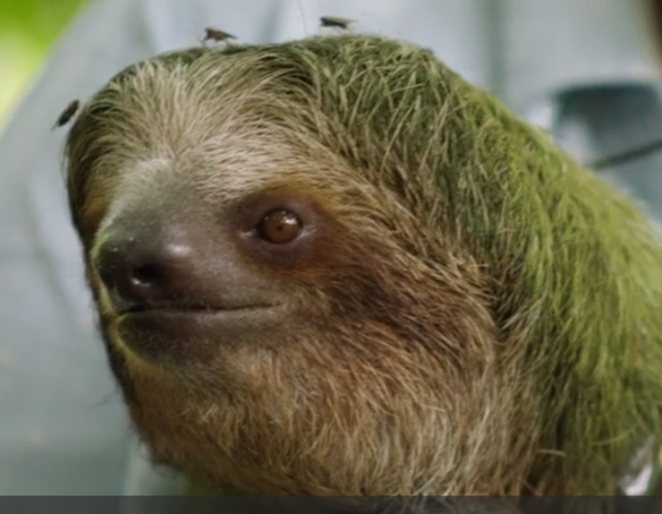 Will we see universities advertising lots of entomologically focused PhD positions? I am not hopeful. Despite three years of insectageddon stories, the majority of ecology and conservation-based PhDs advertised by British universities this autumn, were concerned with vertebrates, many based in exotic locations, continuing the pattern noted many years ago. In terms of conservation and ecology it seems that funding is not needs driven but heavily influenced by glamorous fur and feathers coupled with exotic field sites (Clarke & May, 2002). Figure 1. Countries from which data were sourced (Sánchez-Bayo & Wyckhus, 2019). not, as stated by the authors, a true meta-analysis but an Analysis of Variance. Limitations there may be, but the take home message that should not be ignored, is that there are many insect species, especially those associated with fresh water, that are in steep decline. The 2017 paper showing a 75% reduction in the biomass of flying insects in Germany (Hallmann et al., 2017), also attracted some criticism, mainly because although the data covered forty years, not all the same sites were sampled every year. 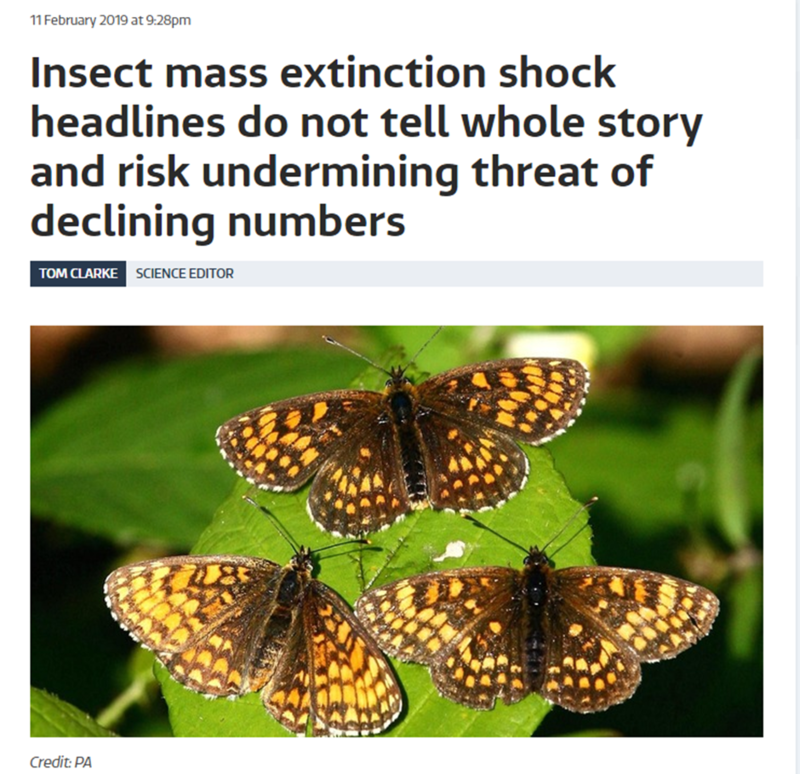 I reiterate, despite the shortcomings of both these papers, there are lots of studies that show large declines in insect abundance and they should not be taken lightly, or as some are doing on Twitter, dismissing them as hysterical outpourings with little basis in fact. It is extremely difficult, especially with the lack of funding available to entomologists to get more robust data. 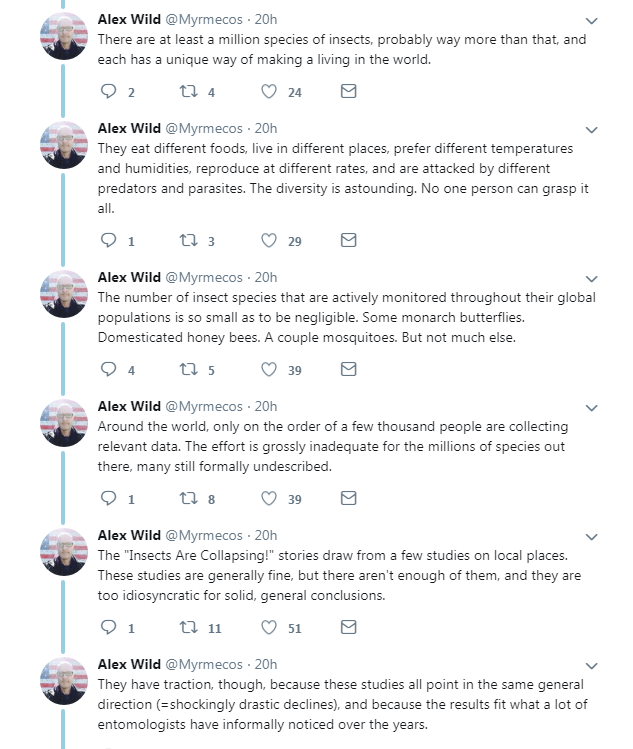 The Twitter thread below from Alex Wild, explains the problems facing entomologists much more clearly and lucidly than I could. Please read it carefully. I am confident that I speak for most entomologists, when I say how frustrated we feel about the way ecological funding is directed. Entomologists do get funding, but a lot of it is directed at crop protection. Don’t get me wrong, this is a good thing, and something I have benefited from throughout my career. Modern crop protection aims to reduce pesticide use by ecological means, but we desperately need to train more entomologist of all hues and to persuade governments and grant bodies to fund entomological research across the board, not just bees, butterflies and dragonflies, but also the small, the overlooked and the non-charismatic ones (Leather & Quicke, 2010). A positive response by governments across the world is urgently needed. Unfortunately what causes a government to take action is hard to understand as shown by how swiftly the UK government responded to the globally trivial impact of Ash Die Back but continues to ignore the call for a greater understanding of the significance of and importance of insects, insectageddon notwithstanding. I put the blame for lack of entomological funding in the UK on the way that universities have been assessed in the UK over the last twenty years or so (Leather, 2013). 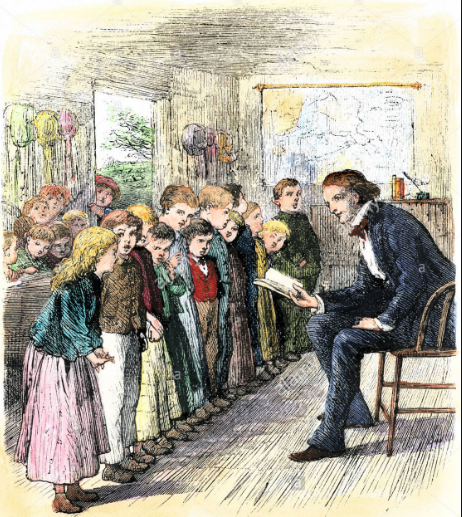 The Research Excellence Framework and the way university senior management responded to it has had a significant negative effect on the recruitment of entomologists to academic posts and this has of course meant that entomological teaching and awareness of the importance of insects to global health has decreased correspondingly. Ceballos, G., Ehrlich, P.R. & Dirzo, R. (2017) Biological annihilation via the ongoing sixth mass extinction signalled by vertebrate population losses and declines. Proceedings of the Natural Academy of Sciences, 114, E6089-E6096. Clark, J.A. & May, R.M. (2002) Taxonomic bias in conservation research. Science, 297, 191-192. Dirzo, R., Young, H.S., Galetti, M., Ceballos, G., Isaac, N.J.B., & Collen, B. 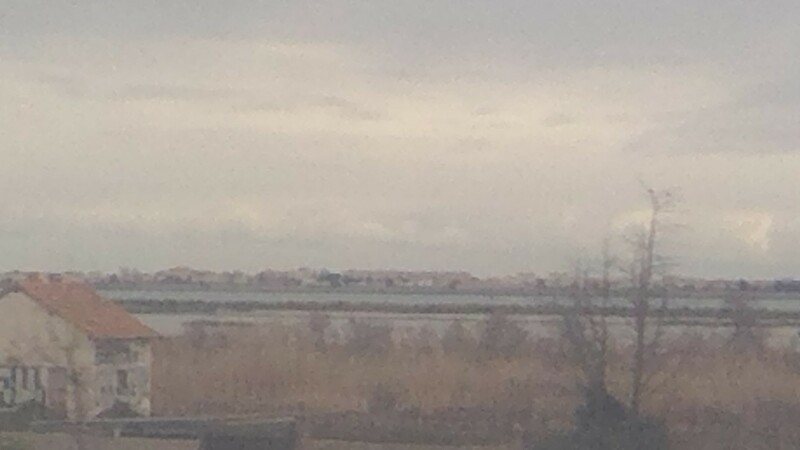 (2014) Defaunation in the anthropocene. Science, 345, 401-406. Leather, S.R. (2013) Institutional vertebratism hampers insect conservation generally; not just saproxylic beetle conservation. Animal Conservation, 16, 379-380. Leather, S.R. & Quicke, D.L.J. (2010) Do shifting baselines in natural history knowledge threaten the environment? Environmentalist, 30, 1-2. Sánchez-Bayo, F. & Wyckhus, K.A.G. 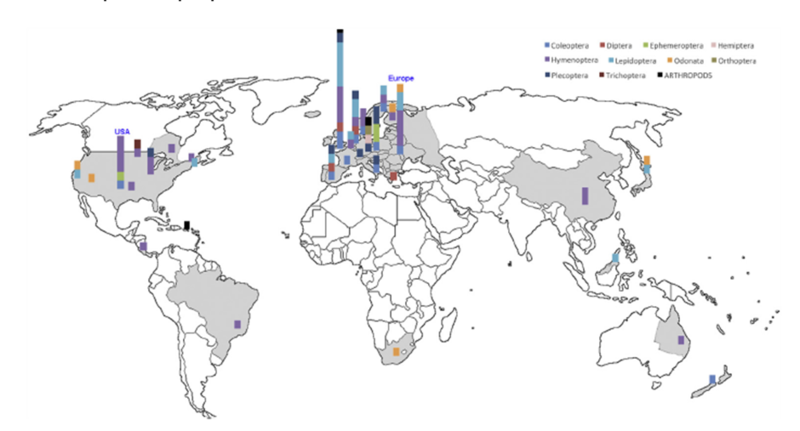 (2019) Worldwide decline of the entomofauna: A review of its drivers. Biological Conservation, 232, 8-27. Shortall, C.R., Moore, A., Smith, E., Hall, M.J., Woiwod, I.P., & Harrington, R. (2009) Long-term changes in the abundance of flying insects. Insect Conservation & Diversity, 2, 251-260.